In school districts around the country, there are disparities between the achievement of white students and that of other student groups such as students of color, English learners and students with disabilities, even though all these students have the same academic potential. This achievement gap has its roots in the lack of equitable opportunities for all students to succeed, or an opportunity gap. In DPS, we see this reflected in key indicators such as four-year graduation rates and third-grade reading and writing proficiency. DPS is a diverse district. Seventy-seven percent of our students are students of color and more than one-third of our students are English Learners. All bring unique, valuable perspectives and experiences to our classrooms. It is every DPS educator’s responsibility to support the development of each child’s unique assets and to provide targeted supports that will help all students achieve their potential. In order to achieve our vision of Every Child Succeeds, we must eliminate gaps in opportunity and achievement for all our students. How can DPS close the opportunity gap? We know nothing is more important to the success of our kids than the quality of our teachers. Our top priority is to attract and retain great teachers, encourage them to serve in our highest-needs schools, and give them the supports and coaching they need to develop the complex, sophisticated skills they need to successfully reach all students. We similarly invest in developing our talented school leaders. We know that early learning is critical to our students’ future success — students who are at grade level in reading and writing in the third grade are four times more likely to graduate on time. Yet, currently fewer than one quarter of our students of color are on grade level in reading and writing in third grade. 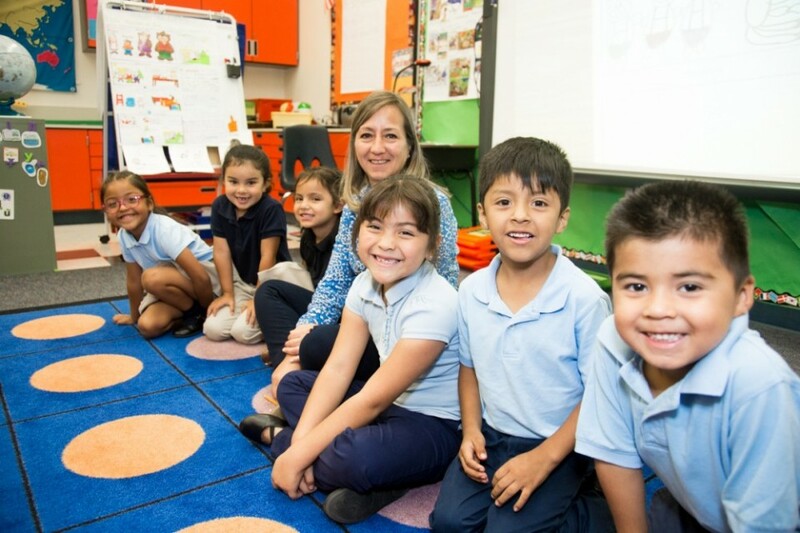 DPS’ Early Literacy initiative focuses on building an essential foundation for our kids that prepares them for success throughout their years in DPS. It includes additional training and supports for teachers working with our highest needs students that will help close opportunity gaps. The role parents play in eliminating the opportunity gap is vital. We know that parents are our most important partners and we are working on strengthening relationships between our teachers and our parents by expanding efforts such as the nation’s largest Parent Teacher Home Visit program. Our vision for every DPS classroom is that every child in each classroom has a joyful, rigorous and personalized learning experience. We want to ensure all our classrooms are ones where children develop a love of learning, where they are challenged by rigorous content and high expectations, and where learning is personalized to meet their individual needs. The work of eliminating opportunity gaps belongs to everyone in DPS. Every educator has the responsibility to ensure that all students are treated equitably. From educational opportunities to hiring practices to discipline policies, we must focus on how our actions further our shared core value of Equity. To live that value of equity, we celebrate our diversity and will provide the necessary resources and supports to raise the achievement of all students while narrowing the gaps between the highest- and lowest-performing students. Our Culture, Equity and Leadership Team is leading conversations about the root causes of inequity throughout DPS and helping all staff engage as culturally responsive educators through equity-focused professional development.